This is the subject of a book - the first extensive study on the relationship between Burns and the USA - by Burns scholar and University of Plymouth Lecturer in English Dr Arun Sood. Robert Burns and the United States of America: Poetry, Print and Memory 1786-1866, published by Palgrave Macmillan, explores the extent of the poet’s engagement with American politics of the day, and the huge influence he had on many aspects of life stateside, from poetry and literature to abolition and the Ku Klux Klan (KKK). 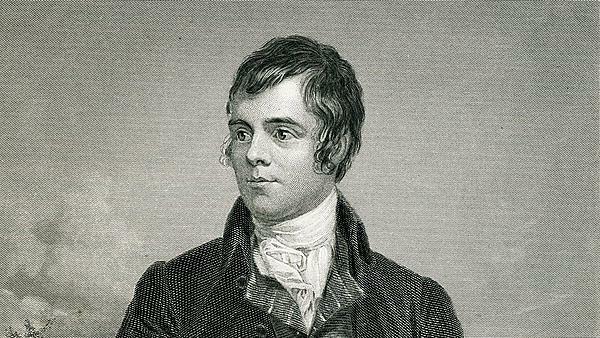 Beginning with a look at Burns’ works on the subject of contemporary events in the States, it moves on to his influence on American poets and culture more broadly, before making a case for him to be redefined as a ‘transnational’ poet. One focus is the impact of a thriving yet unregulated culture of ‘reprinting’ - aided by the lack of copyright laws in the country at the time - on the dissemination of Burns’ work. Sood describes how reprints allowed large numbers of readers to access and be influenced by the Bard of Ayrshire’s writing, revealing, for example, that within a year of the publication of the seminal Kilmarnock edition – ‘Poems, Chiefly in the Scottish Dialect’ – in Scotland in 1787, it had been reprinted in both New York and Philadelphia. In fact, Burns’ writing was reprinted and distributed more and more widely as he became increasingly well-known – initially among Scottish emigrés, then the wider public. In the book’s appendices, Sood gathers together for the first time an exhaustive chronological list of Burns print editions in the United States, from 1788 right up to 1866. Presenting this information in map form, he is able to show the spread of Burns’ influence over the decades, so that by 1866 his work was to be found along the east coast from Virginia to Massachusetts, and as far west as Cincinnati in Ohio. In this way, Burns had a significant influence on an emerging group of American poets, such as John Greenleaf Whittier, Paul Laurence Dunbar, and Ralph Waldo Emerson. But this influence worked both ways, and Sood also shows the extent to which Burns was himself influenced by the American Revolution and its ideas. “There is no doubt that Burns held a symbolic power in the States, and after his death that influence and his repertoire lived on, and in some ways became malleable. “His work was appropriated by groups on all sides, from abolitionists like Frederick Douglass, to Confederate forces and the KKK, which used a verse from one of his poems in its founding document. He also had a significant influence on nineteenth century American poets. The book is based on research carried out at the University of Glasgow, where Sood completed a PhD at the Centre for Robert Burns Studies, and as a postgraduate Fulbright Fellow at Georgetown University, Washington, DC, and Kluge Fellow at The Library of Congress in 2017. Arun Sood was appointed Lecturer in English at the University of Plymouth in 2018. See Robert Burns and the United States of America: Poetry, Print and Memory 1786-1866 on the Palgrave Macmillan website. Supporting the work of over fifty academics across English, creative writing, history, art history, theatre, dance, performing arts and music. The centre was established in 2009 to recognise the research excellence within the School of Humanities and Performing Arts.